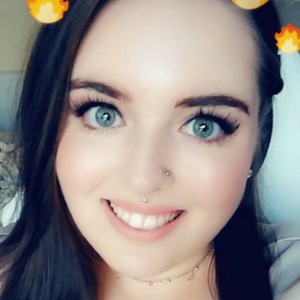 Over the years I’ve tried various concealers such as the Makeup Revolution Full Coverage Concealer, Technic Colour Fix Concealer and Veil Cover Cream. I’ve got my favourites when it comes to concealer. However, I’m always on the lookout for new ones to try as I like variety. Plus I enjoy rotating products to switch things up. Back in May, I placed an order on the Revolution Beauty website (Formerly known as Makeup Revolution) I ended up ordering a bunch of products, one of which was the Revolution Pro Camouflage Concealer. I was really intrigued by this concealer as camouflage concealers tend to be a lot more expensive. What is a camouflage concealer? Not heard of camouflage concealers? They’re basically really high coverage concealers that contain a lot more pigment compared to your average concealer. They were originally created during the war to conceal scarring. There are various brands of camouflage concealer such as Cover FX, Dermablend, Dermacolor, Keromask, Covermark and my favourite Veil Cover Cream which I mentioned in my 3 concealers that you need to try post. Another difference of camouflage concealer compared to regular concealers is the fact that certain camouflage concealers are actually available on prescription for those who wish to cover birthmarks, Vitiligo, scarring, Rosacea, hyperpigmentation and skin discolouration amongst other dermatological conditions. Typically camouflage concealers aren’t cheap but provide the skin with really impressive coverage. They even have the ability to cover up tattoos. It takes patience and practice but it seriously is possible. Anyway, imagine my delight when I noticed Revolution Beauty selling their own camouflage concealer for £5. I was excited and so curious if it would be as good as some of the leading camouflage brands. So what did I do? I did a Revolution Beauty haul and purchased myself a tube of the affordable camouflage concealer in the shade C3, a pale pink toned shade. I’ll be honest, I wasn’t expecting an absolutely mindblowing product. That being said, from my experience of using Revolution Beauty products, I’ve found they’re good quality. Plus occasionally you come across a product that takes you by surprise. Take The Revolution Pro Foundation Drops, for example, I was shocked at how good of a product it was. But this post isn’t about that foundation, it is about their concealer. So was The Revolution Pro Camouflage Concealer any good? Yes! For £5 it is pretty damn good. Is it as good as the likes of Veil Cover Cream? Not quite. However, let’s think rationally here. Many of the camouflage brands specialise in camouflage, they’ve been around for years and years with their foolproof formulas. Revolution Beauty produces hundreds of different products so when you take that in mind, they’ve done a pretty great job with this product. Their concealer comes housed in a small tube. However, you really only need a teeny tiny bit of product to get some pretty impressive coverage. So what do I love about The Revolution Pro Camouflage Concealer? I like how affordable the product is and I love the fact that it can conceal dark undereye circles in literally next to no time. The concealer tackles any discolouration in my skin, especially when it comes to redness on and around my blemishes. I also love how very little product you need to achieve good results and I am a big fan of how nicely it blends into my skin with the help of my beauty blender. Ultimately I love how I can achieve a really flawless look with this product. What don’t I love about The Revolution Pro Camouflage Concealer? What don’t I love about the concealer? Do I wish the concealer was a smidgen lighter in colour? Yes! I mean I can just get away with the colour if I do some super blending but I do really wish it was lighter, especially because I like to use it on my undereye area. I also don’t like how sticky it can be on my skin. All camouflage concealers are relatively thick in consistency but this has a tacky finish and therefore you really do need to set it with a powder because it’ll just end up sliding off your face otherwise. I also don’t like the fact that during the warmer weather even when you set it with powder it can still crease within a few hours. But the thing I don’t love the most about The Revolution Pro Camouflage Concealer? The packaging. Is it effective? Sure is. So why do I dislike it so much? Because it is a blatant rip off of the Cover FX packaging. Now, this isn’t the first time Revolution Makeup have imitated another brands packaging. Quite honestly they’re got tons of products of the same nature and they’ve pretty much built their brand on creating dupes of famous much-loved cult products. I personally think it is fine to be inspired by other brands and create affordable products that can be purchased by those on tighter budgets. I really admire the fact that Revolution Beauty is making makeup more accessible and available for those who don’t have hundreds of pounds to spend. However, I think it is morally wrong to create almost EXACT carbon copies of other brands products especially considering these brands spend so much time and effort creating such ideas and designs. Don’t get me wrong, I love Revolution Makeup and I own lots of products from them but the more I see them ripping off other brands and companies, the more I love them less. 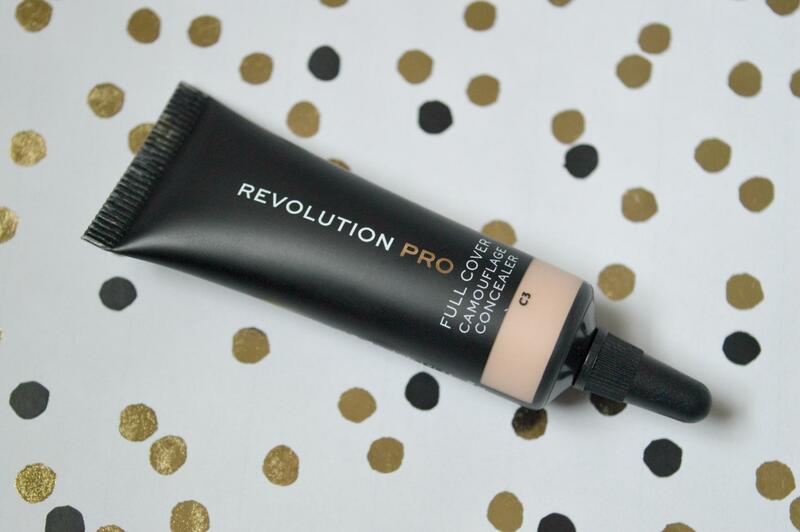 Have you tried The Revolution Pro Camouflage Concealer? What did you think of it?